If you run your own business, then one of the things you may be thinking about at some point is whether or not you should move your business out of your home office or co-working space and into its own premises. Of course, there’s no right or wrong answer here and only you’ll know when the time is right for such as move, but it’s worth considering whether or not you’re really able to afford it and if it makes financial sense before you take such a big step. 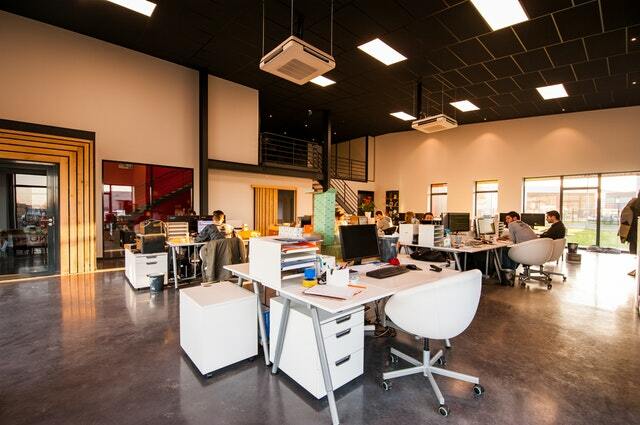 So, in this post, we’re going to share with you some of the pros and cons of having your own office for your business. When you have your own place, it’s much easier to start building a team – especially if you want to build an in-house team, then it’s going to be pretty essential to have your own office. Of course, building a team doesn’t always mean you have to have people work in-house – you can work with freelancers or even look for a company offering IT Consultancy for business owners in your area, but it’s definitely a lot easier to do when you have your own place, even just for things like meetings and interviews. When you have a business that deals with clients face to face, then having your own place to hold meetings can certainly create an impression in their minds that you’re more professional and will cause them to take you more serious as a business. This is definitely not always a good thing since your ability to run a business has nothing to do with where you work from, but unfortunately this is just the perception that many people still hold. When you go to an outside office each day and leave again at a certain time, you’re able to create a better work/life balance than you’re able to when working from home where it’s more of a struggle to switch off from work at the end of the day. Of course one of the downsides of working in an outside office is that you’ll have to commute to the office each day. Whilst it may not be far, it’s still removing the biggest benefit of working from home, so it’s worth considering if you’re okay with this. Whether you rent or buy a place to work in, it’s definitely expensive and it’s something that you should seriously consider before taking the leap to get a place. If you feel like you’re going to be barely breaking even or will be putting yourself under financial strain in order to have your own place for your business, then it’s probably best to stick to working from home for a while. Just like running a business is, having your own premises is a big responsibility, and it’s one you need to make sure you’re completely ready for before jumping in.